Any day, is a good reason to chocolate chip SKILLET COOKIE a la mode! Be sure to check out the dessert menu at Irish nobleman Pub Chicago. 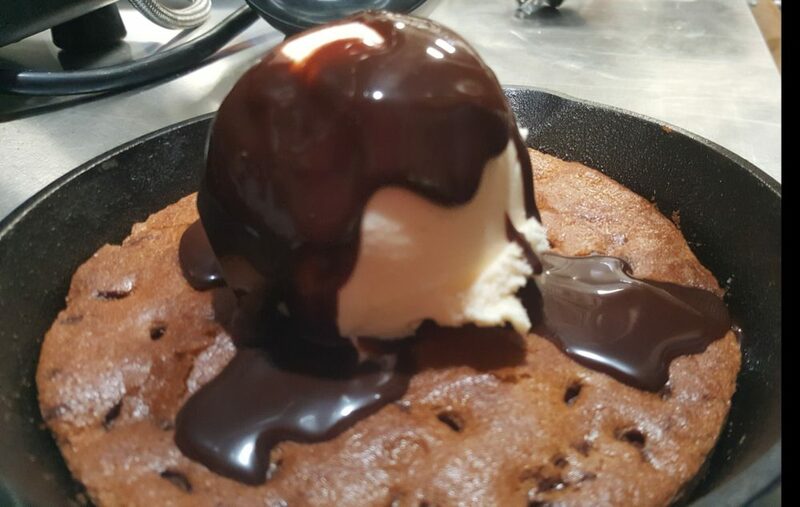 This tasty Skillet cookie is served piping hot and made to order and its own personal cast iron skillet. You can even get yours ala mode with a scoop of our vanilla bean ice cream and chocolate syrup. Who doesn’t love fresh-baked chocolate chip cookies served warm out of the oven?